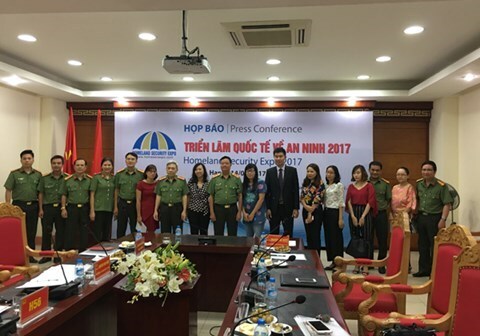 Hanoi (VNA) – The Homeland Security Expo 2017 will take place at the International Centre for Exhibition, 91 Tran Hung Dao Street, Hanoi on August 29-30, bringing together about 50 exhibitors from leading countries in security and defence. The event was hosted by the Ministry of Public Security’s General Department of Logistics and Engineering to introduce to visitors latest and modern equipment, technology and products for the homeland and public security. The world and the region today are facing a number of threats related to security, social order and territory, resulting in increasing demand on homeland and public security equipment in Vietnam, said the general department’s deputy head Lieutenant General Nguyen The Quyet. The event will feature 100 booths showcasing technologies and products by 50 exhibitors from Russia, the US, France, India, South Africa, the UK, the Republic of Korea, the Czech Republic, and more.